Blueberries are a well-known source of antioxidants, but black rice bran is better, according to scientists reporting to the national meeting of the American Chemical Society in Boston. 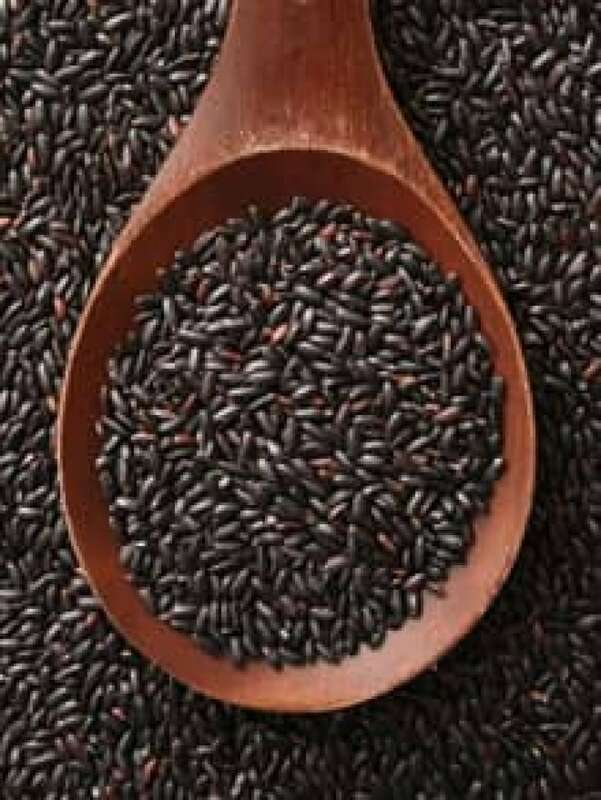 A spoonful of black rice bran contains more healthy antioxidants than a spoonful of blueberries. ((iStock))Black rice, which turns a deep purple colour when cooked, is rich in iron, high in fibre and packed with anthocyanin antioxidants. "Just a spoonful of black rice bran contains more health-promoting anthocyanin antioxidants than are found in a spoonful of blueberries, but with less sugar and more fibre and vitamin E antioxidants," reports Zhimin Xu, and associate professor in the department of food science at Louisiana State University in Baton Rouge. Anthocyanin antioxidants have shown promise in fighting heart disease, cancer and other diseases. Several studies have shown they can reduce blood levels of low-density lipoprotein cholesterol, also known as LDL or bad cholesterol. Xu and his colleagues believe black rice is a better source of the antioxidants because it's much cheaper and more widely available year-round than blueberries. It's also more flexible. Manufacturers could use black rice bran to boost the health value of breakfast cereals, beverages, cakes, cookies and other food. It could even be used to bake ultra-healthy blueberry muffins.